EurasiaNet is running a series this week looking at the state of relations between China and the five nations of former Soviet Central Asia. China expert Raffaello Pantucci opens the series with a survey of China’s role in the region. China’s rise in Central Asia marks one of the most consequential changes in regional geopolitics since the turn of the century. China announced that it intended to be a major player in Central Asia back in September 2013, when Chinese President Xi Jinping gave a speech in Astana that inaugurated the “Belt and Road” vision — the most dominant expression of Chinese foreign policy from his administration. Yet this declaration notwithstanding, it remains unclear whether Beijing has a coherent vision for Central Asia. Instead, Beijing continues to grow into a role of regional prominence without a clear plan to manage the ramifications of its growing role. The narrative of spreading Chinese influence throughout the region is not new. Indicators of China’s influence are plentiful. Markets are full of Chinese products, infrastructure is heavily built by Chinese firms with Chinese loans, leadership visits — either Chinese to the region or regional to China — are followed by announcements of massive deals being signed, and increasingly China is playing a more prominent role in regional security questions. Even so, China remains a hesitant regional actor, and is keen to continue casting itself as subordinate to Russia. Beijing is also eager to avoid becoming embroiled in inevitable regional economic and political complications. Most recently, these complications have manifested themselves as protests in Kazakhstan, where locals have expressed anger at the government’s decision to change legislation governing foreigners’ ability to rent land for lengthy periods of time. Public anger is rooted mostly in concerns that Chinese firms will exploit this legislation to slowly lease ever larger tracts of Kazakhstani land. Such problems have arisen in the past. In 2009, for example, when President Nursultan Nazarbayev announced a leasing arrangement, Chinese and Tajik censors blocked references in the media to a similar deal in Tajikistan in 2011. In other contexts, China finds itself embroiled in corruption scandals. The recently deposed prime minister of Kyrgyzstan, Temir Sariyev, departed under a cloud of bribery accusations connected mostly to a road-building contract won by Chinese firm Longhai. Similar suspicions are often voiced in other countries, though details tend to be elusive. And finally, China continues to be concerned about security threats connected to the region. Lower level criminality affects Chinese entrepreneurs in the region who are sometimes seen as a soft touch by local criminals, while the government continues to express concern about terrorist groups and networks that are believed to be active in the region. On more strategic level, a major challenge for Chinese officials is related to perception. There is a persistent sense among experts and officials in Central Asia that China’s interests and investment in the region mask some sort of hidden agenda. Such wariness is often exacerbated by a belief that China is only interested in the region’s natural resources, or sees Central Asia merely as a conduit to more lucrative markets elsewhere. Aware of the perception issue, China has sought to address it. During Chinese Foreign Minister Wang Yi’s visit to Kyrgyzstan in May, he spoke to his counterpart Erlan Abdyldayev about the possibility of relocating Chinese factories to the country. In Uzbekistan, telecoms companies Huawei and ZTE have already realized the importance of this and established assembly plants there, while the Xuzhou Construction Machinery Group (XCMG) has sought to piggyback on the external construction push under the Belt and Road by building a factory in the country. In Kazakhstan, meanwhile, the government continues to hold out hope that the Special Economic Zones being developed at the Khorgos border crossing and elsewhere will turn into manufacturing hubs rather than just transit points for Chinese goods. On the extractives front, China continues to be a major importer, though as Turkmenistan has discovered in the past year, China’s appetite for gas has its limits. While all the talk publicly has been about the pending realization of the trans-Afghan TAPI pipeline, signals are increasingly visible of further strings to the China-Central Asia pipeline being put on ice for the time being. And from the regional perspective, Central Asian capitals are growing as concerned about becoming reliant on the China market as they are about the steep drop in Russia’s economy. The biggest driver of Chinese thinking towards Central Asia remains the Belt and Road. Highlighting the degree to which this is the lens through which Beijing views the region, Foreign Minister Wang Yi during his recent visit to Bishkek spoke of how China wanted to view the “SCO as a platform to speed up the docking of the Silk Road Economic Belt with the construction of the Eurasian Economic Union.” The local branch of the Belt and Road, the Silk Road Economic Belt, is an all-encompassing concept that at its heart is about improved connectivity, regional development and investment. It increasingly seems as though it is going to become the overarching umbrella through which China will engage with the region. This is a mixed blessing for the region. Given the centrality of the Belt and Road and Silk Road Economic Belt to Xi Jinping personally, it is clear that Central Asia will continue to benefit from this attention going forward. But there remains a question about how the region will be able to capture some local benefit beyond simply transit fees. It is clear that China feels like it has a voice that it wants to express sometimes — most recently in the form of an angry outburst from the Chinese Ambassador to Kazakhstan about the difficulty his co-nationals have had in obtaining visas — but it remains uncertain what Beijing’s long-term vision for the region is. The question for the Central Asian capitals is the degree to which they can shape China’s approach in a way that maximizes the benefits that they seek. 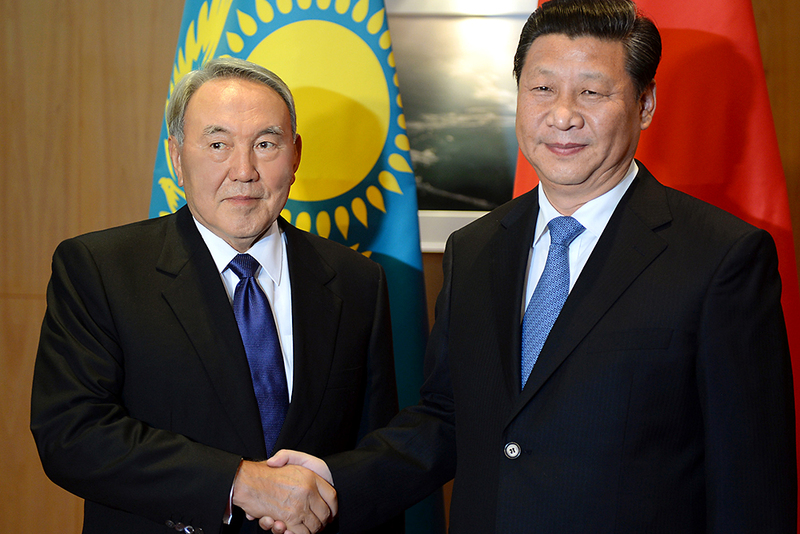 Central Asian leaders also want China to take a greater degree of responsibility for some regional security questions. As the first stop on the ideologically central Silk Road Economic Belt, Central Asia will be a consistent point in Chinese foreign policy in the coming years. What the long-term ramifications of this are, however, remains to be seen.